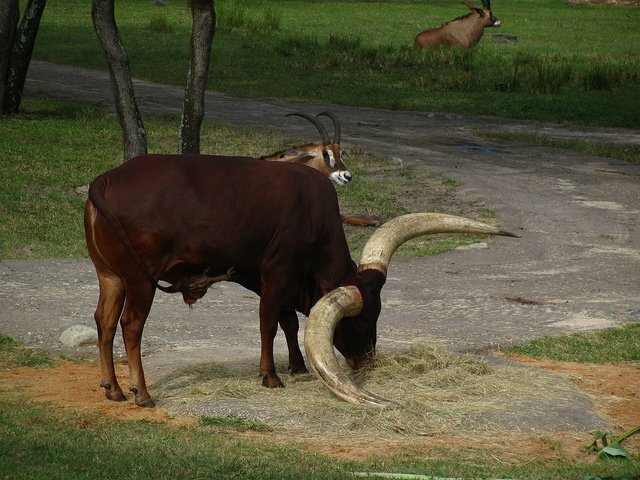 The Ankole cattle are a sight to behold, their major attraction being their long horns which can grow to a length of up to eight feet long (2.4 m). 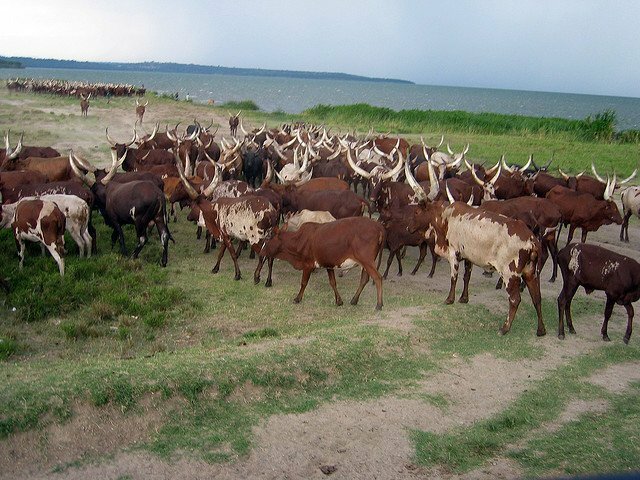 The Ankole cattle are distributed from Lake Tanganyika to Lake Mobutu in East Africa. 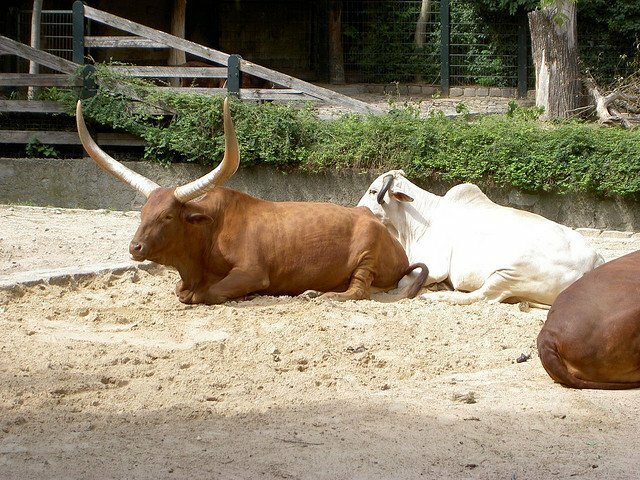 The peculiar characteristics of the cow, has made one of the few domestic animals to be kept in zoos around the world. 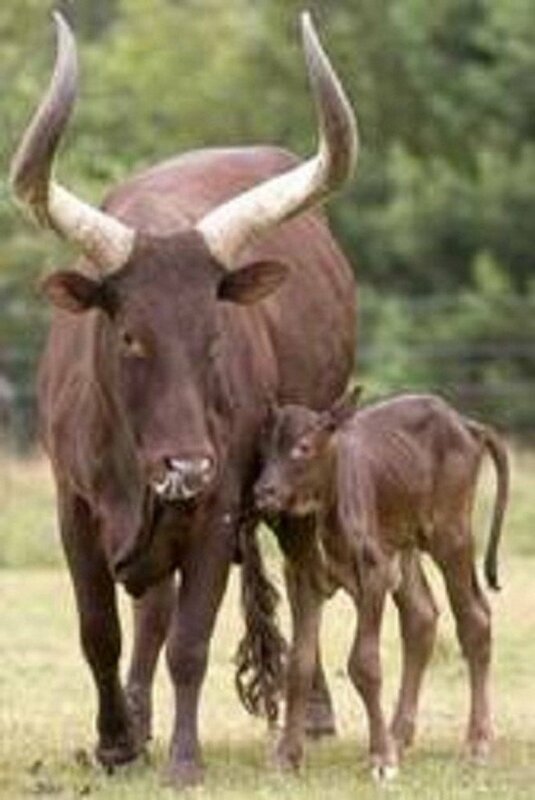 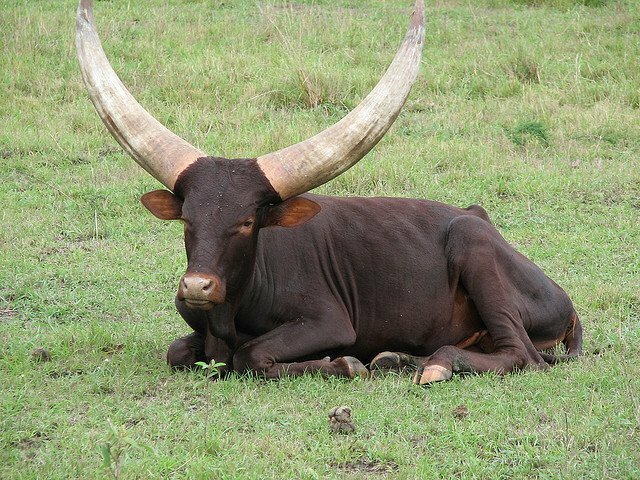 The lifespan of the Ankole cattle is between 10 to 30 years. 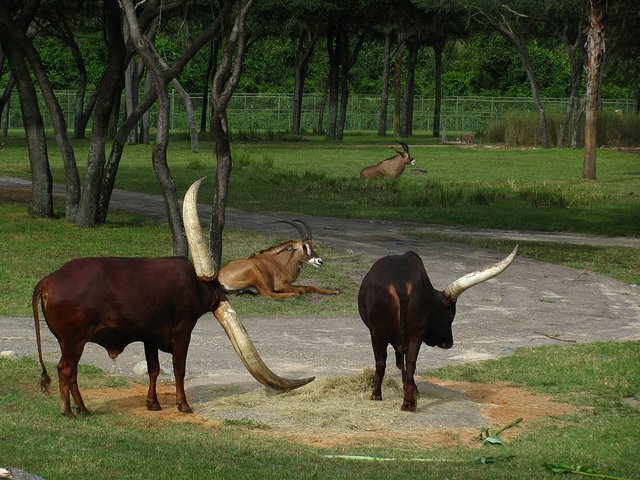 Despite having long horns, the Ankole cattle are graceful, and gentle. 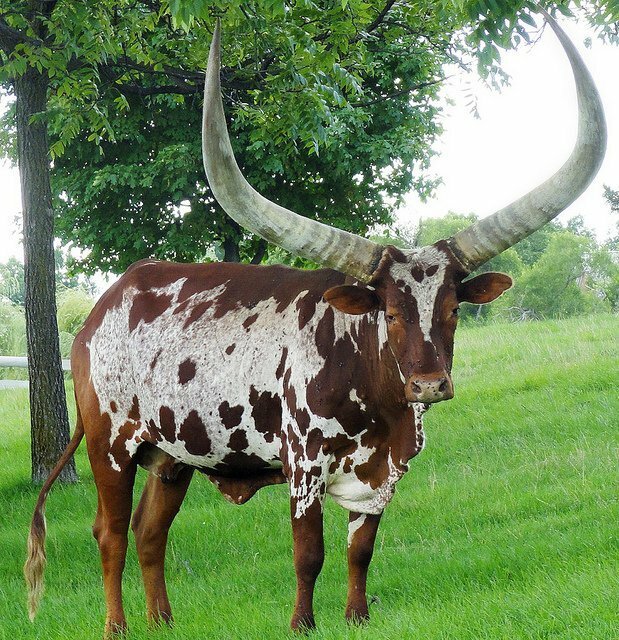 The Ankole cow is definitely, a cow like no other as you can see below.